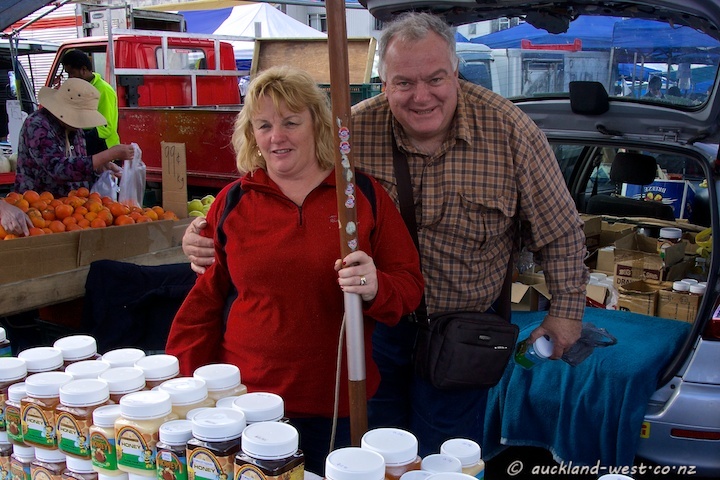 We get our honey supplies from Jenny and Chris at the Avondale Sunday Market, where they show up every week to sell their Rainbow Honey. This time I could convince them to pose for the blog. Thanks.